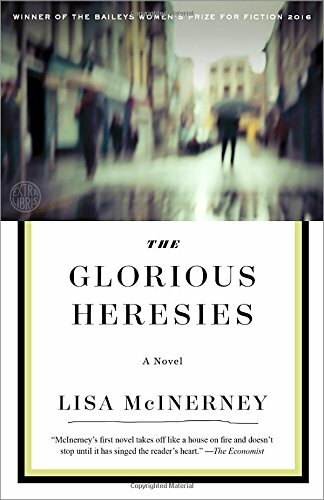 Hmmm…The Glorious Heresies by Lisa McInerney is an exceptionally well-written novel about bad people in even worse situations. The novel won the 2016 Baileys Women’s Prize for Fiction – and I can see why. McInerney is a crazy talented writer. The novel was originally published in Great Britain (the story takes place in Ireland), but it is now making its way to the US. Generally, I enjoy stories where different plot points and characters are interwoven. In this novel, the characters are connected through an unplanned murder. However, these connections prove to be weak and even prove perilous. The book blurb suggests the book has loads of dark humor, but I did not laugh ever. I was too pained by the characters decisions and their relationships to laugh. However, I was quite impressed by all the points about religion and heresy the author so cleverly brings to the surface through the characters. The novel is also hefty. At almost 400 pages, the novel is slow moving, and since the characters do not change and repeat their behaviors, it seems even longer. 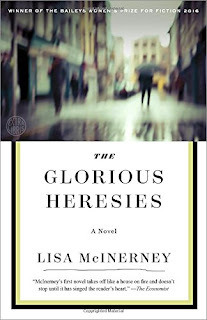 Again, the characters were not my favorite and the plot was too rough for my tastes, but McInerney is a talented author. If you enjoy dark tales with twisted characters and heartache, then you may enjoy it more than I did. I wish I liked it more.